Yesterday's Docklands by Night Re-run ride was great fun. I managed to get a little video footage to give you an idea of what the ride was like. You can view this by clicking on the link below. Taking photos let slime video at night is a tricky business but I think my little camera did a fairly good job. 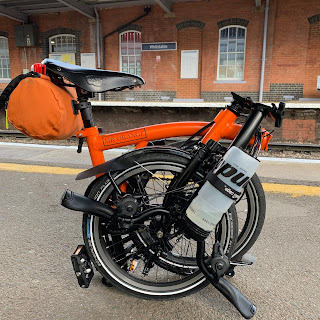 The blog entry for yesterday's brilliant ride with lots of photos can be viewed by clicking on the second link below. Hope you enjoy the video and make sure you watch it in HD to get the highest quality. Really enjoying your blogs and absolutely loved the Kensal Green Cemetery footage. It's one of my stomping grounds. I miss going there. Sun Along, On, Over and Under the Thames! Have I become a Volvo Driver! The Finest Victorian Cemetery in London?